When your team needs to pull together a pitch deck, assign a new lead, review the terms of a new deal, and more, Slack is here to help. 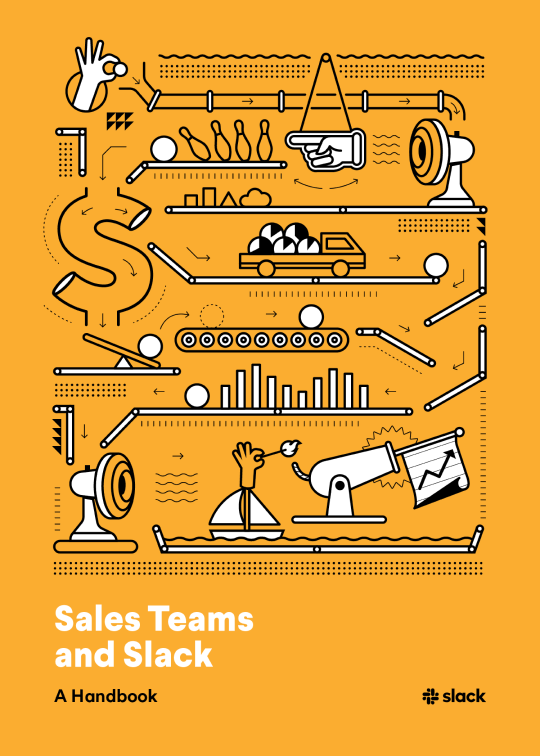 Sales teams who are just getting started or are looking to get more out of Slack. Browse through a bevy of sales tools that you can add to Slack in our App Directory. Got questions? We’ve got answers. Very specific, step-by-step answers. 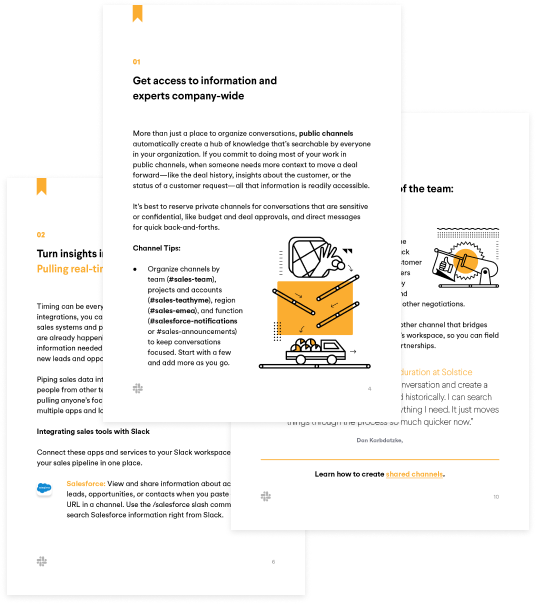 Find out how to do all the things in Slack.